Demar Feldman Studios, Inc. is a full service painting company with a 24 year history of quality work and breathtaking results. DFS produces quality architectural finishes, murals, and decorative art for residential and commercial locations in Southern California and abroad. We are oriented to working with designer and client from the concept and planning of a project to its timely completion. Our crew of professionals creates and consistently maintains an exacting degree of artistic quality to meet your demanding specifications. Whether it is a small powder room or a large exterior, we bring a commitment to beauty and an attention to detail that does not waiver. Owned and operated by Mimi Feldman, DFS provides the inspiration to take color to another level with ideas and techniques that will amaze. 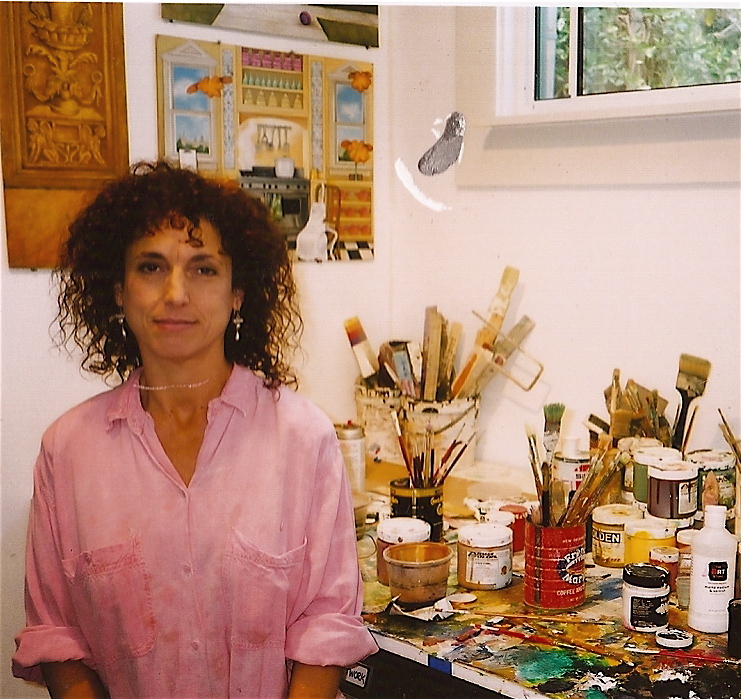 Mimi Feldman is a native Californian with a background in fine art, earning her MFA degree from Otis Art Institute. She has a unique understanding of color that she brings to the job and color consultation is provided as part of any project. She is equally happy to help you realize your vision or to create an original design for you. DFS specializes in both interior and exterior house painting and restoration, but our services don’t end there. We also offer an array of specialty painting options including wall glazing, Venetian Plaster, decorative painting and stenciling, gilding, trompe l’oeil and murals. We are known for our beautifully painted floors and have developed exciting stained finishes for cement. There is really no end to the magic of color. Mimi Feldman’s philosophy is that all surfaces can be elevated to the level of art, even a perfectly painted white wall. She and her team bring this enthusiasm to everything they do, and it shows in the results. Preeminent Los Angeles art collector and philanthropist Eli Broad hired DFS to paint the exterior of his Frank Gehry-designed home so that it looked like Italian plaster. Wolfgang Puck and Barabara Lazaroff had them do all the work at the signature Spago Beverly Hills restaurant. When working on Samuel L. Jackson’s home, DFS did everything from the exterior paint job and custom cabinet finishes to extensive mural work. To sum it up: if it has to do with paint, we do it. Demar Feldman Studios has transformed the walls of residences and commercial spaces all over the world and we are ready to do the same for you.